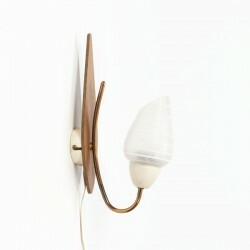 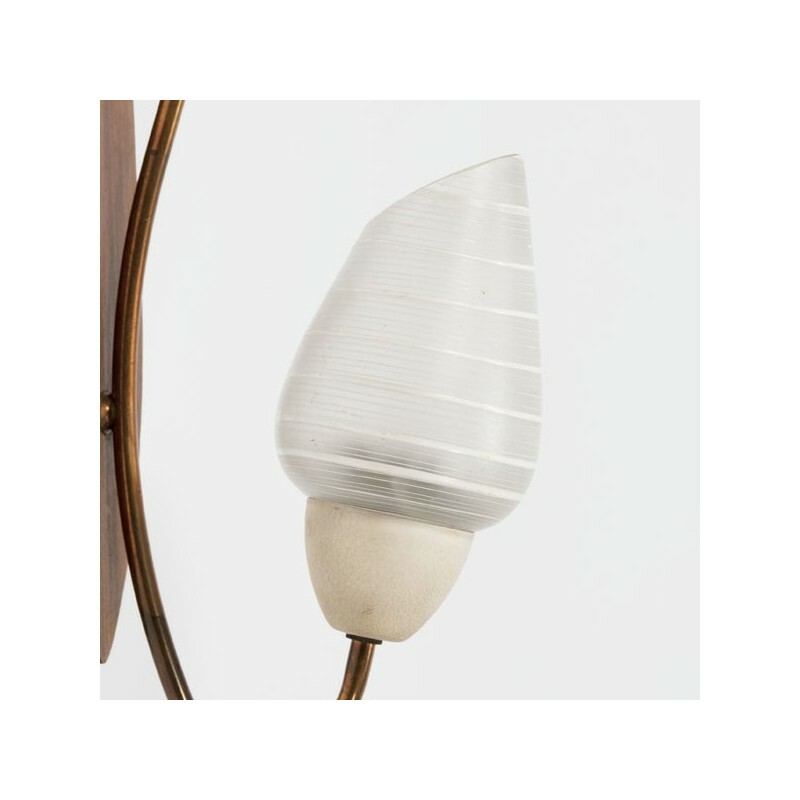 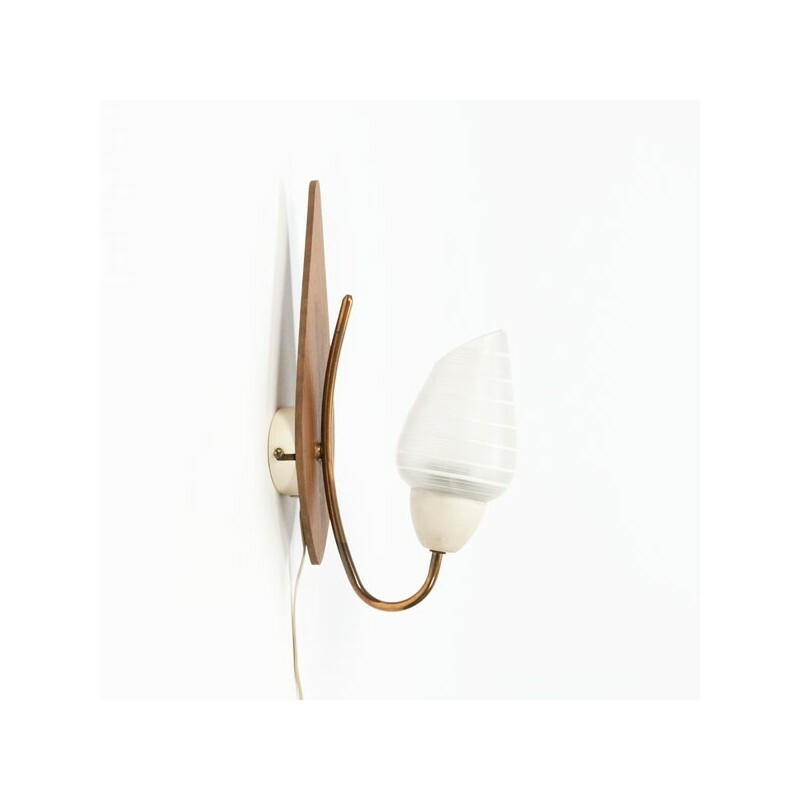 Vintage wall lamp from the fifties made ​​with teak, cut glass and copper-colored details. 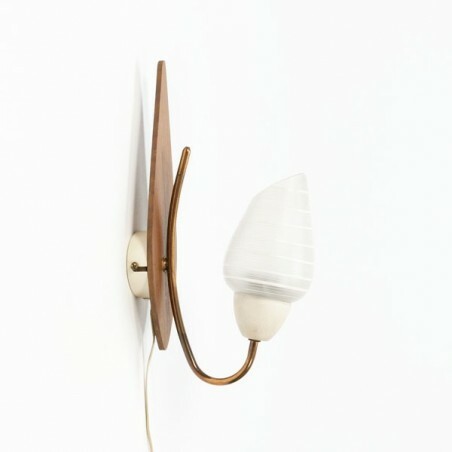 The wall lamp is in a good condition given it's age, see detailed pictures. 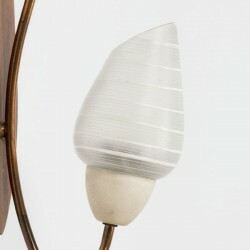 The size is 29 cm high and the cap is 8 cm in diameter.